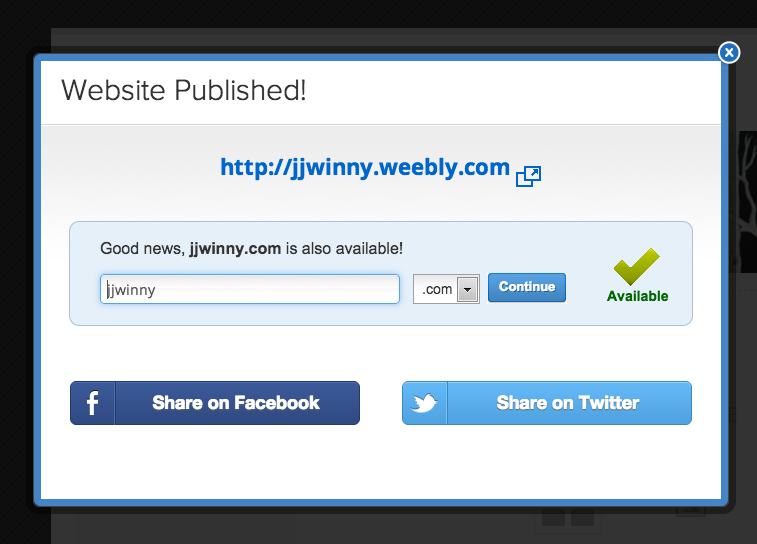 Weebly is, by far, my absolute favorite tool to create a website! 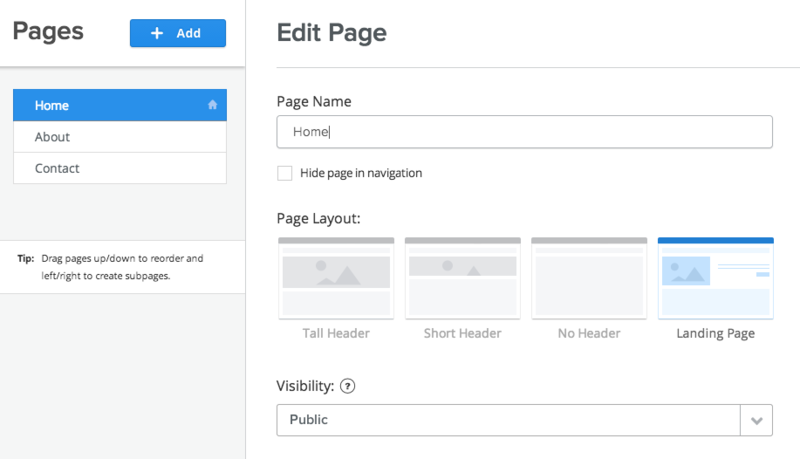 The ease of the drag-and-drop style to build pages and content is perfect for someone new to website creation. 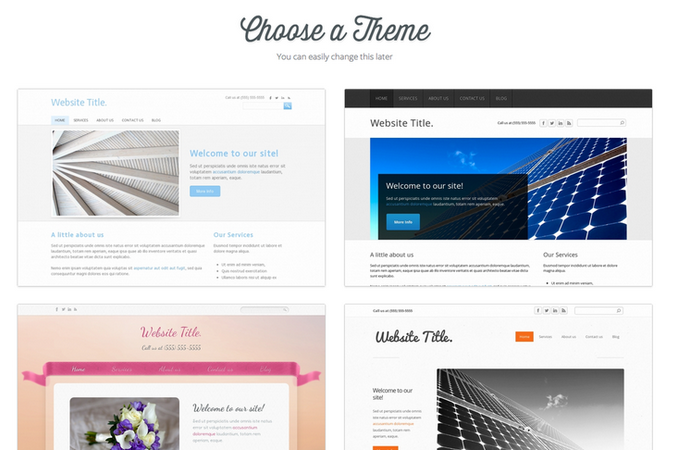 The themes and options for building content and structure are wonderful. Let's get started! Choose your username and password, type your email, click the terms of service and sign up. It's that easy to get started! 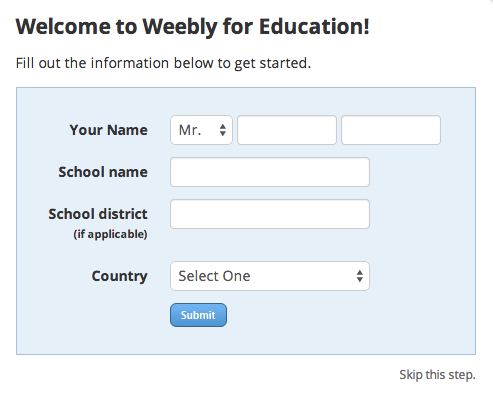 You may need to "tweak" your username or password to meet the requirements of Weebly. Just be sure to write them down if they are not your the ones you normally use. 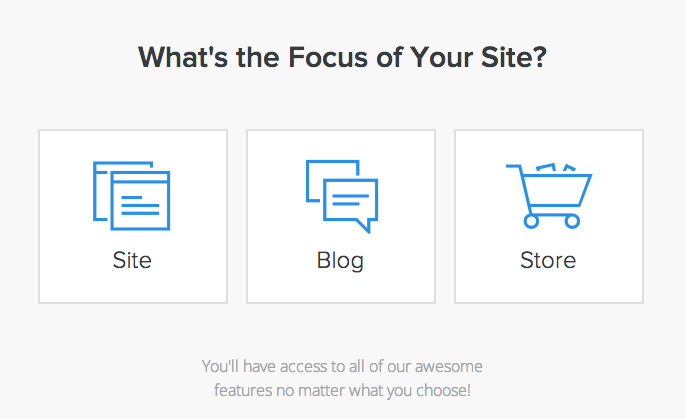 Choose to focus on a "site" not a blog. You can always include a blog page on your website. Scroll through the themes and choose one you like. You can always change it later. Go with the style you like because you can customize the pictures or photographs. 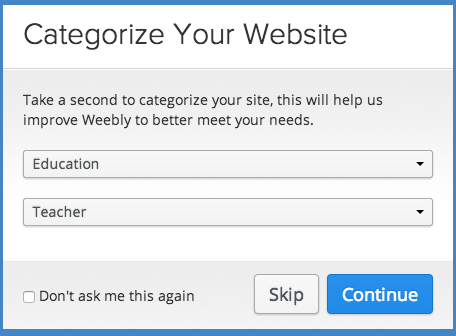 You will choose to use a subdomain of weebly. I would suggest trying your name first and not your grade or school. if it isn't available, try the first letter of your first name with your last name. you may have to try different options before finding one that is available. write down the website address! There are lots of step by step instructions and tutorials available. 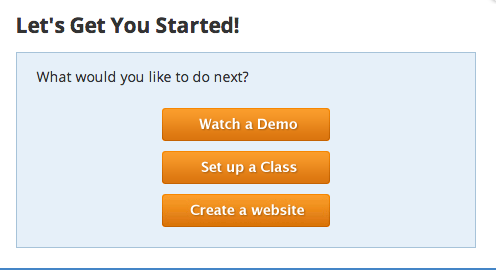 Once you're ready, click build and CHOOSE A PAGE ON THE LEFT. THEn choose the TYPE OF PAGE LAYOUT YOU prefer. CLICK SAVE AND EDIT TO BEGIN! When you're ready, click publish. 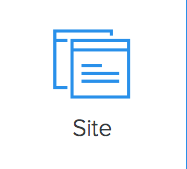 I would suggest publishing your site whenever you've added a new page or element--just to be cautious. If you haven't done so yet, categorize your site. Once your website is published, you'll get this screen. Just click the "x" in the upper right corner. 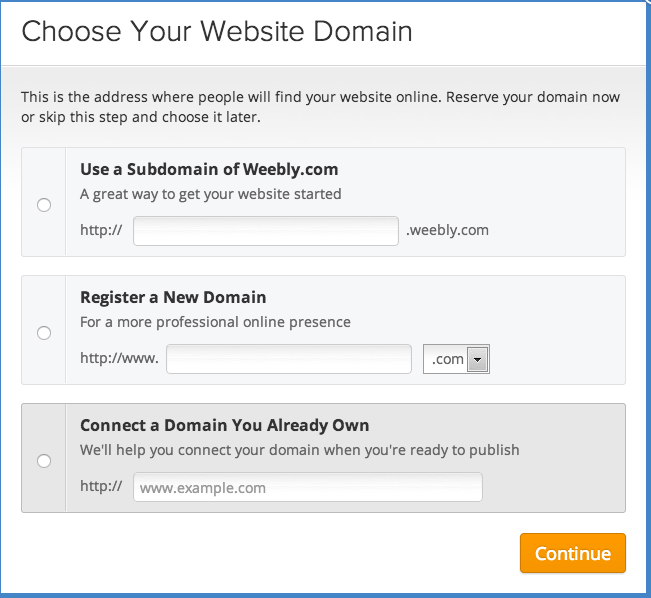 You don't want to choose continue unless you want to pay for a domain (Not needed). Please remember that even if your website is published, no one knows it's online until you tell them. take your time to make your website look just the way you want it! -->If you need help, visit the How to do everything page on weebly. It's awesome!